Hi all! My name is Angie and I blog over at The Country Chic Cottage and Crafts with Jars. I am thrilled to be here today with my tutorial for boys. Boys are super hard to make crafts for, in my opinion, so this series is just what I need. 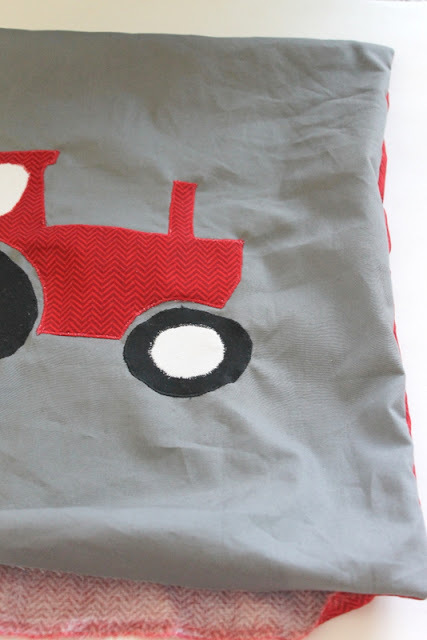 I decided to make a tractor applique pillow for my little guy. I hope you enjoy my tutorial and will make one for your little guy as well. 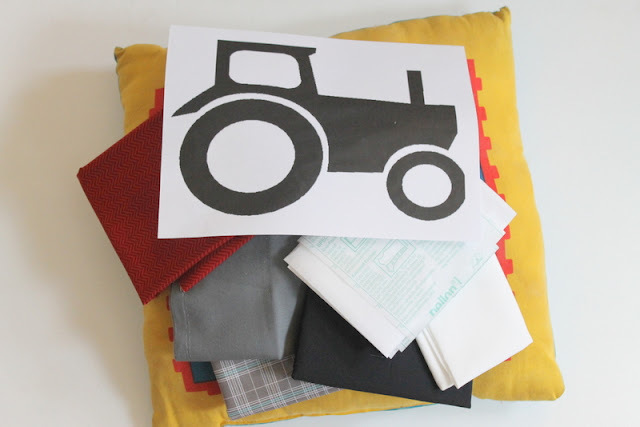 Cut out your tractor into pattern pieces. I removed the window from the tractor and the centers of the wheels for patterns as well. 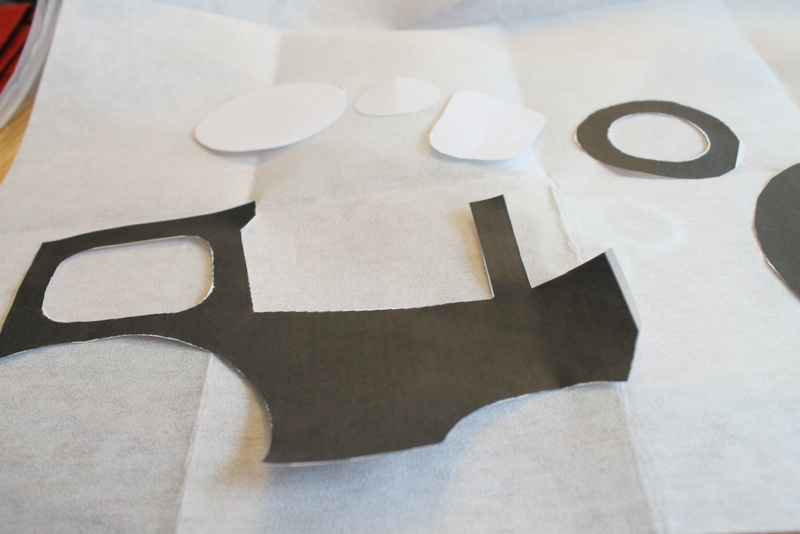 Pin the pattern pieces to the interfacing and cut out. NOTE: Be sure not to get your pieces backwards. 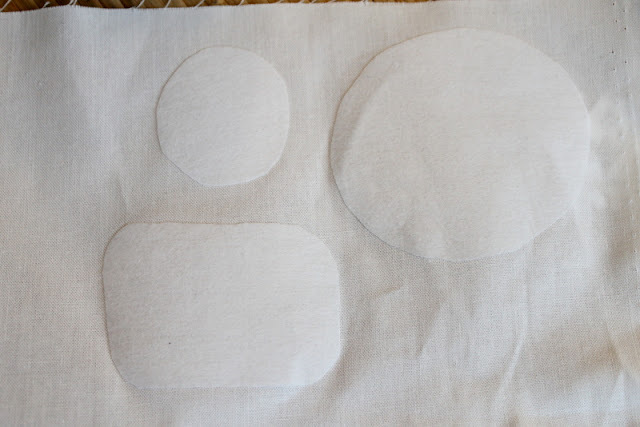 Remember the “front ” of the interfacing will be pressed to the backside of your fabric. 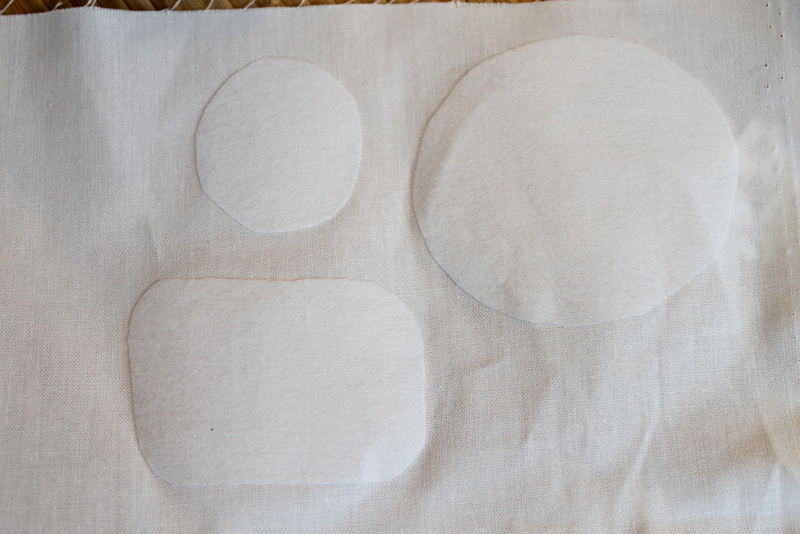 Fuse the interfacing to your fabric according to the instructions on the interfacing. 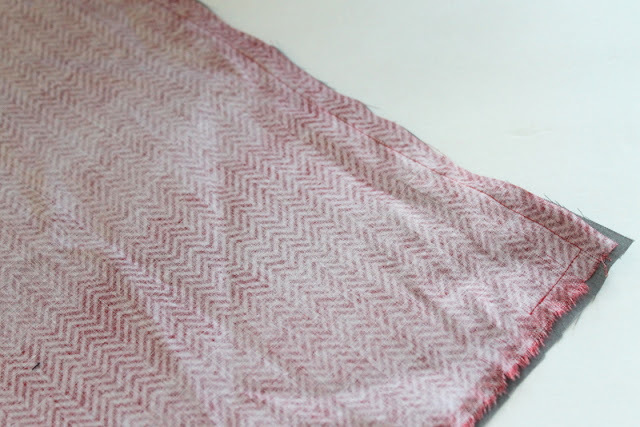 Be sure to use steam, a damp pressing cloth, and press for the recommended time. 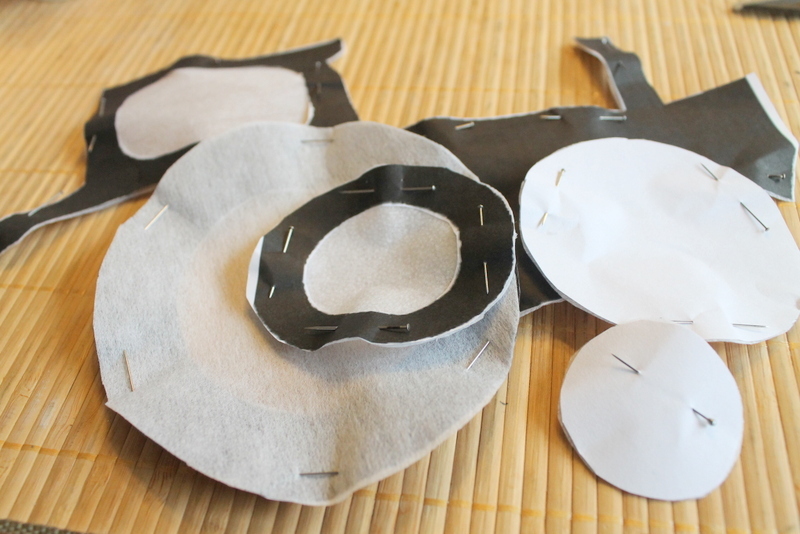 Cut out the pattern pieces from the fabric and layout on your gray fabric. Pin into place. You can see I used the red chevron for the tractor body, black for the wheels, and white for the window/inside of the wheels. 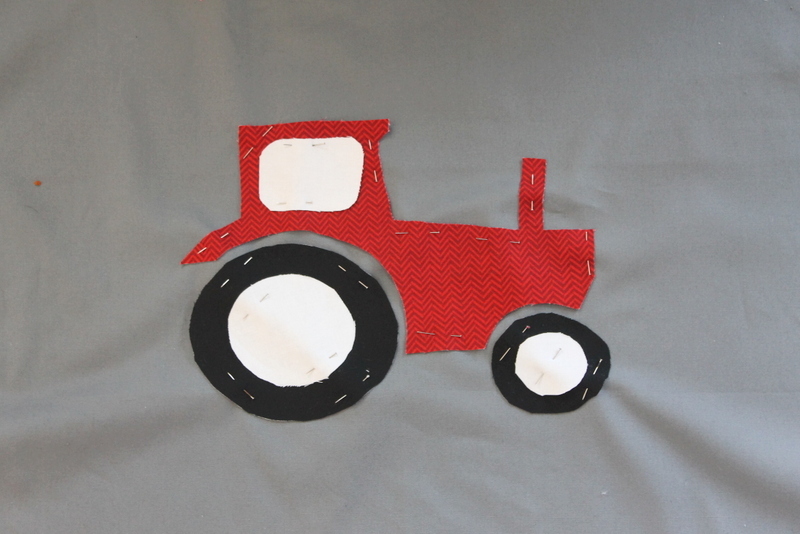 Use your black and red thread to go around your appliques. I went slowly and got right on the edge of the fabric. I used a very short zig zag stitch on my machine and actually went around each piece twice. Turn the pillow right side out and push the corners out with your finger. Insert your pillow form or old pillow. Turn under the seam allowance and pin across the bottom. Sew closed on your sewing machine or by hand. 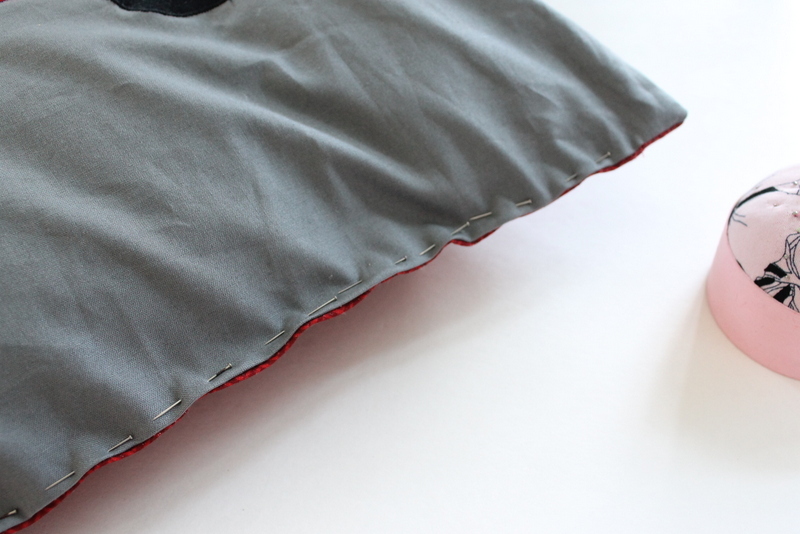 Give your pillow to your little guy to enjoy! I know my little guy is thrilled with his new “tractor”. What other appliques would you apply for the little boy in your life? Thanks so much for having me here today and I hope you enjoyed this tutorial. Be sure to follow along at The Country Chic Cottage and Crafts with Jars for even more crafty fun. If you want to see more amazing tutorials by Angie, check out her fun and creative blog at The Country Chic Cottage. If you want to create this fun pillow or any of our other pretty pillows, you can get all of your fabric here at The Ribbon Retreat. If you want to trim your pillows with beautiful ribbon or embellish with ric rac, resins, buttons, or gems you can also get them here at The Ribbon Retreat. We carry all of your pillow making supplies. 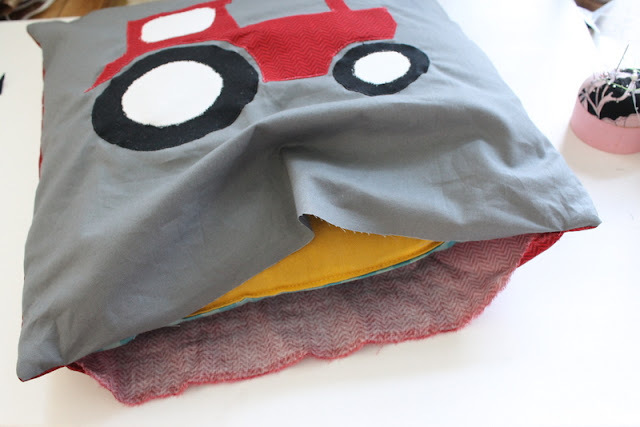 Happy Creating & Happy Pillow Making! This entry was posted in All About Boys, For The Home. Bookmark the permalink. Trackbacks are closed, but you can post a comment. A monster truck could totally work too! How cute. You are so creative and I can’t wait to try these out. Creativity is all that i have to say. Cutting out shapes out of fabrics and stitching them to other to form beautiful designs is an art.